http://www.youtube.com/watch?v=6pJs1vevNAg I think this match stands out as the pinnacle of Kobashi's two year/13 defences GHC title run, and I made a conscious decision to not flood this list with matches from that period (it really was a toss of the coin about whether his defence against Takayama would be Number 5 though). 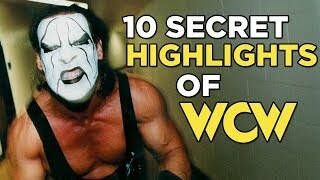 The reason this is Number 1 is quite simple, it has everything you want from a wrestling match - from great selling, high impact moves, pure and believable fighting spirit, legit injuries for both wrestlers, and massive crowd heat leading into an epic final sprint and the most definitive looking finisher of all time. Puro perfection.